Here is a lovely example of a Fancy Yellow Oval Diamond. As you can see, the color is quite significant. The stone is close to Fancy Intense Yellow in terms of intensity. 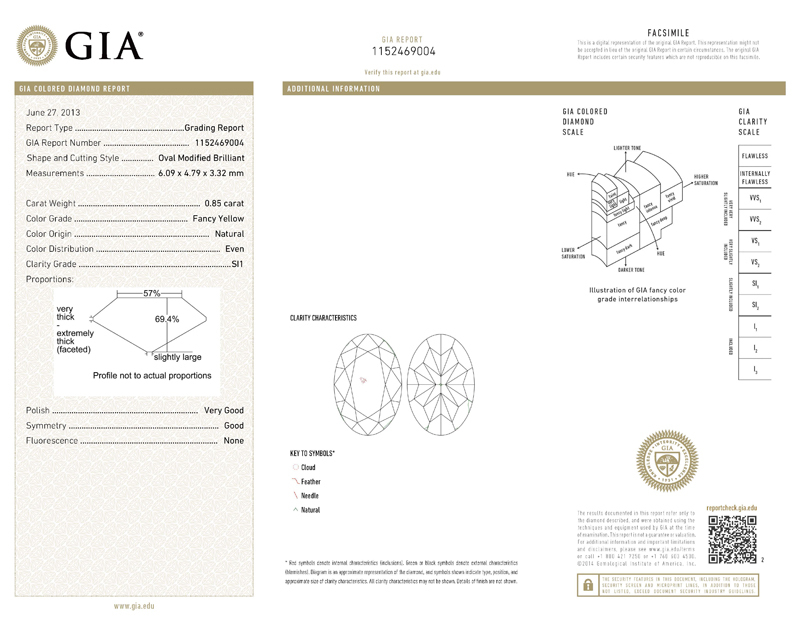 You can also spec out the cut - very nicely done for a Fancy Colored Diamond. The shape is supple. Eye clean SI1. Desirable close to one carat size.